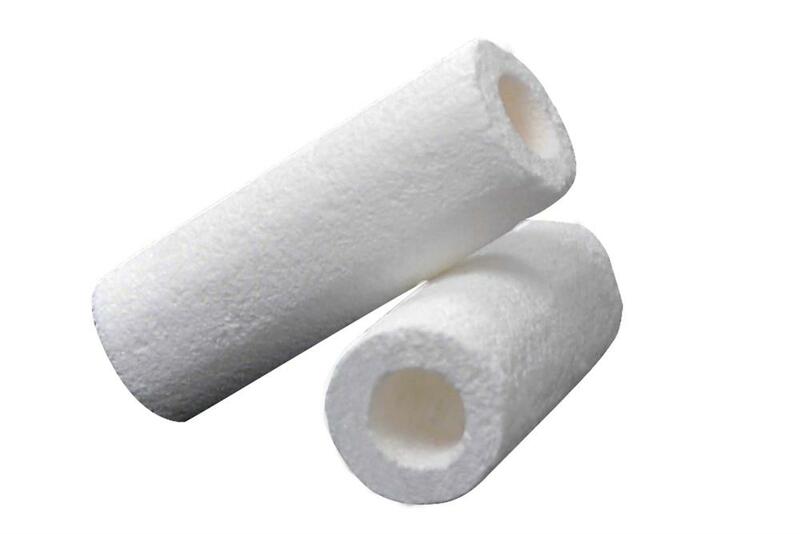 To prevent dust-falling issue and ensure a cleaning process, it is suggested to apply a thin layer of alumina adhesive material on the surface of the foam block. Please click underline to order. 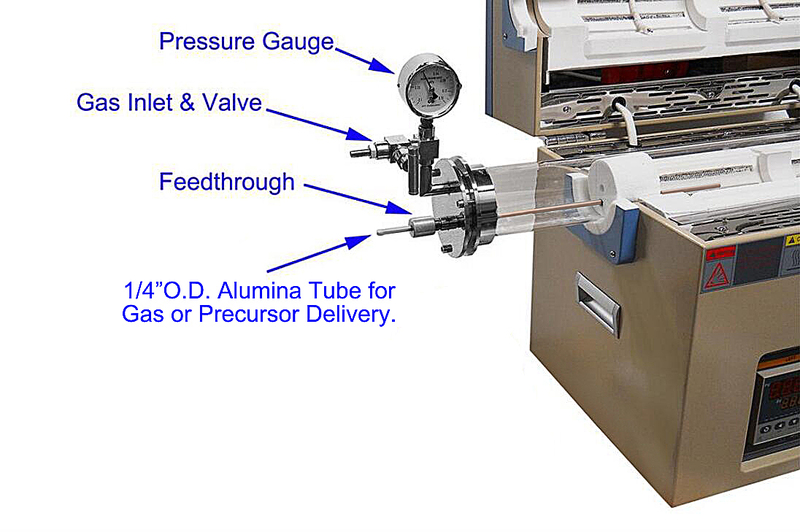 For direct delivery of precursor gasses over the heating zone, customer may drill a hole in the alumina block for sticking a 1/4" O.D. quartz (<1200oC) or alumina (<1700oC) tube to deliver gas into the furnace tube center. Porous alumina block is very soft and it can be hand-drilled through easily. Please refer to the picture below. 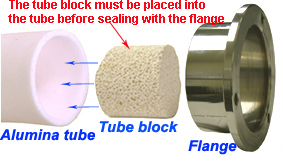 Click to Watch the video “How to insert and remove foam block for MTI furnaces”. Click to Watch the video "How to modify the thermal blocks".